Depending on the scope of the design and development work being performed by us Step 1 to Step 3 are normally completed in a 30 to 60 day time frame. Step 4 to 6 are normally quick but depending on the extent of the client involvement with the content integration and the speed at which they communicate can take anywhere from a few days to months. During this phase we do a thorough consultation with the client and ask them to give us a full brief on their website requirements. We normally ask clients to give us several examples of websites that they like, to have a look at. Sometimes its the overall look and sometimes its only a single element on the website samples that they like. Thorough attention is paid to the client’s requirements and ideas. We always strive to be 100% accurate in our interpretation of the client’s website requirements. Our web design process starts with our web designers designing at least 2 Template options for the client. On occasion we have designed more than 2 templates if the project required it. These template designs is simply, a graphic showing what the website would look like when completed. The Client will then choose the template that he likes the most and that fits his website requirements. Once feedback is received any template revisions will be made until a final option is designed that meets the client’s approval. This phase is normally quite short. Here we take the chosen template along with any incorporated changes and turn it into a working Home page or landing page. This Home page normally has a few working pages other than the home page and one other page. This phase is where the remaining pages of the website are built and inserted into the CMS. Any other elements that are part of the design as such are programmed into the website and the CMS during this phase. Content from the existing website will be converted to the new format. During this phase several reviews with the client will be done. We normally test everything as we design and develop the website, but in this phase the client will review and test things on their side to ensure the website performed according to their specifications. All development will have been done on an in-house server up to this stage. All installations needed on the live web server will need to be performed and completed.  Jabulani Design Studio will then start the installation of the website onto the live web server. Once the website is installed, a final review will be needed to ensure the website functions work 100%. The website will then need to be implemented and signed off.